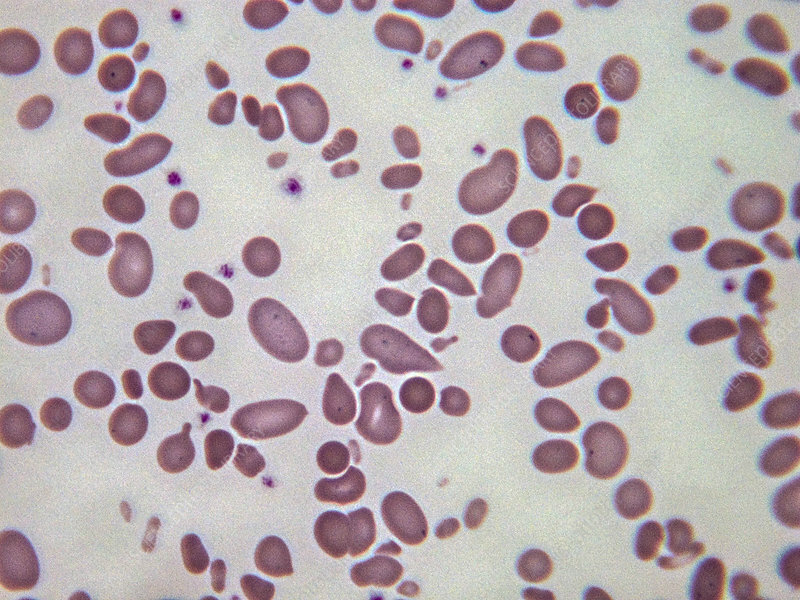 In hereditary pyropoikilocytosis, which is an autosomal recessive form of haemolytic anaemia, erythrocytes show various abnormalities from microcytosis to oval shapes. Light micrograph, Wright-Giemsa stain. Magnification: 100x.